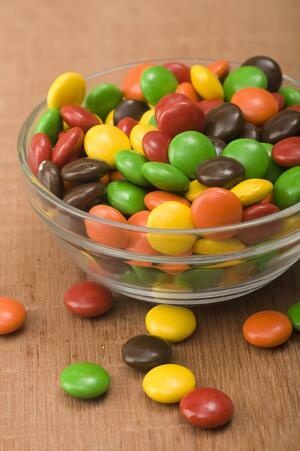 You may not think M&M’s have anything to do with annuities. But, the colored chocolate candies actually provide a valuable lesson to always read the fine print. In the 1980s, the rock band Van Halen had a famously peculiar concert demand: a bowl backstage filled with M&M’s, but with all the brown ones removed. What was once misconstrued as a quirk of self-indulgent rock stars came to be known as a brilliant safety measure. It was a way to determine if the concert promoter had carefully read the band’s contract rider, which stipulated everything from the culinary choices in the dressing room to appropriately setting up the lighting and sound equipment. If the band found brown-colored M&M’s in their dressing room, they knew the promoter failed to read the contract. And, therefore, may have overlooked other – more serious – details. The band could then force the promoter to forfeit the entire cost of the show, potentially costing the promoter millions. In the annals of commonly unheeded advice, “read the fine print” is probably near the top. Think about it. How often do you agree to the terms and conditions of a product or service on your computer or smartphone without a second thought? There are several reasons for this. As consumers, we don’t want to slog through page after page of legal jargon. Or, we feel powerless. How do you negotiate an agreement with Google or Facebook? 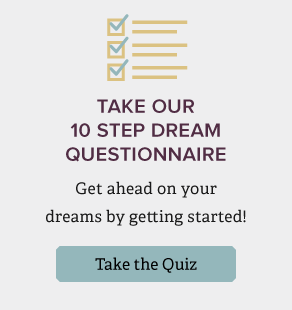 Often, our skepticism is suppressed by the allure of the things we want – be it small (a phone app, contest entry, etc.) or big (a car, house, etc.). When it comes to retirement, we desire a consistent income stream and financial security. It’s why many people consider annuities. These insurance products can provide consistent payments over time, along with additional features such as guaranteed income, protection against market declines and death benefits. Behind these attractive features though are usually many strings attached and steep costs. If you don’t read the fine print, you could make a costly mistake. Arguably, no annuity better exemplifies this point than the equity-indexed annuity. An equity-indexed annuity is sort of like a hybrid version of a fixed and a variable annuity. You can receive a guaranteed return but also a chance for some upside. With an equity-indexed annuity, the return is linked to the performance of a particular market index. For example, the widely published S&P 500 Index. The better the index performs, the greater your return. They also provide a guaranteed minimum return (usually 1-3%), called a “floor,” as protection for when the index falls. Essentially, an equity-indexed annuity can provide a higher return than a fixed annuity, but with less risk than a variable annuity. They can be expensive. Most attractive features, called “riders,” come with added fees. Insurance brokers earn commissions on the annuities they sell. You may have to pay surrender charges. Your principal is only protected if you hold the annuity through the surrender period. If you need money for an emergency, you may have to pay hefty charges to access your money. The quality of an annuity depends on the solvency of the insurance company. There is a risk that future contract guarantees might not be paid if the insurer goes out of business. Gains are taxed as ordinary income. That means high-earners will pay higher rates than the more favorable long-term capital gains rate applied to traditional investment accounts. When it comes to equity-indexed annuities, however, the devil is in the details. Insurance companies can package them in a wide variety of complex ways, making each one wholly different from the next. Different equity-indexed annuities calculate your return in different ways. Insurance companies may institute controls that give you only a portion of the index’s overall return. Participation rates – A participation rate is the percentage of the market index return that you receive. For example, if the annuity’s participation rate is 80%, you receive 80% of the market index return. Interest rate caps – Some equity-indexed annuities feature caps on your return. Usually stated as a percentage, cap rates essentially establish a maximum return you can earn. For example, a market index gain of 10% would result in a lower 8% return for an annuity tracking it under an 8% rate cap. Spread/margin/asset fee – A spread, margin or asset fee is a percentage that is subtracted from the market index return. If the market index return is 10%, then a 3% spread/margin/asset fee would reduce that to 7% for the annuity. An equity-indexed annuity may calculate your return by one of these controls or a mix of them. Further, some contracts allow insurance companies to change these features annually or at the start of the next contract term. So, be sure to read the contract carefully! To illustrate, here’s a comparison of a market index return versus an equity-indexed annuity return that tracks it, assuming a 1% performance floor, a 5% interest rate cap and an 80% participation rate. Insurance companies also use a variety of methods for measuring changes in the index’s value, or what’s called index tracking. For example, they may use different time periods and values, including averages rather than actual index values. The method used to track the index could reduce the amount of interest you earn, even if the linked index gains throughout the term of your investment. Further, most insurance companies exclude dividends when calculating the index’s return. Without dividend income, you are sure to earn less than you would have investing directly into the market. Some equity-indexed annuities also pay simple interest over the life of the annuity. In this case, your return will be lower because there is no compounding interest. Therefore, be sure you understand how the index is tracked and the methods used to calculate its return. The bottom line is that your return may not look as good as the index that it is tied to. Everyone’s financial situation is different, so every financial product isn’t right for everyone. Investors can receive the same benefits provided by an annuity through other financial products that are more appropriate to their financial needs and goals. Therefore, when considering an annuity, be sure you understand its various features and ask many questions about whether an annuity is right for you. 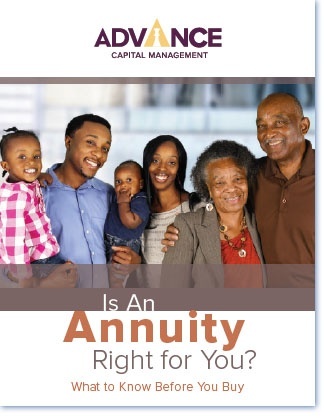 For more information, download this complimentary guide, Is an Annuity Right for You?, that will help you understand what to know before buying an annuity.